Aparna is the co-founder and full-time director at Mont Ivy Preschools. An AMI (Association Montessori Internationale) certified Montessorian, Aparna has over 14 years of experience in early child care and education. She has taught at renowned preschools, both Montessori and non-Montessori based. With education close to her heart, Aparna has been associated with NGOs such as Udayan and Khushi and worked on issues like education of the girl-child and underprivileged children. She has also volunteered at foster homes to promote literacy and basic life-skills. Aparna completed her Montessori certification from Sir Ratan Tata Institute (RTI), Mumbai, under Ms. Zarin Malwa and is an honours graduate from the prestigious Lady Shri Ram College for Women (LSR), New Delhi. Aparna is a Life Member of the Association Montessori Internationale (AMI), Netherlands and Patron Principal Member of the Early Childhood Association (ECA), India. Aparna has also completed her Certificate in School Management and Leadership (Leading Change) from the Harvard Graduate School of Education (HGSE) in partnership with the Harvard Business School (HBS). 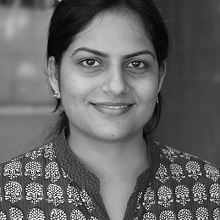 Paras is the co-founder and full-time director at Mont Ivy Preschools. Prior to Mont Ivy, Paras worked with Goldman Sachs in Mumbai for over seven years as an investment analyst covering Indian and ASEAN equities. At Goldman Sachs, he was one of the youngest analysts to independently cover multi-country markets in Asia. Paras is an avid reader and enjoys learning about different cultures. He has travelled to many countries including Hong Kong, Singapore, Taiwan, Thailand, Philippines and European countries including France, UK, Switzerland, in addition to African nations such as Nigeria and Kenya. Paras obtained his Master of Business Administration degree (First Class) from the Indian Institute of Science (IISc), Bangalore and completed his Industrial Engineering (First Class with Distinction) prior to that. He is a life member of the Indian Red Cross society. Dr. Sanjay D Swamy is the Paediatric Health and Hygiene advisor to Mont Ivy Preschools. 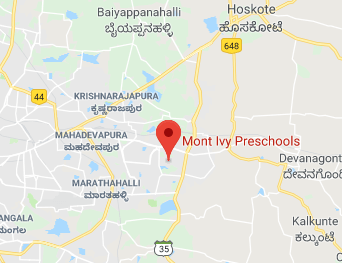 Driven by his deep resolve to help children, Dr. Sanjay has partnered with Mont Ivy Preschools on an honorary basis under Mont Ivy Social Impact - a not-for-profit platform for social causes. 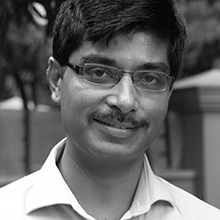 Dr.Sanjay is the consultant paediatric intensivist at Columbia Asia Hospitals and is a senior paediatrician with a rich experience at medical institutions such as The Birmingham Children's Hospital (UK), Narayana Institute of Cardiac Sciences, St.John's Medical Teaching Hospital, Manipal Hospital and Christian Medical College (CMC), Vellore. Dr.Sanjay believes that every individual should know about Basic Life Support and imparts regular Basic Life Support training to parents, teachers and staff at Mont Ivy Preschools on an honorary basis. Dr. Swamy has had his Fellowship training in paediatric critical care both in the UK and in India offered by the Royal College of Paediatrics & Child Health, UK and the Indian Academy of Paediatrics. 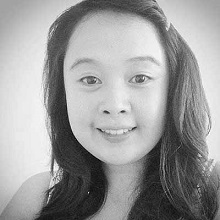 Hannah is a senior Montessori Teacher at Montessori for Children, Hong Kong. A Montessori certified directress, Hannah has a rich experience in managing mixed age group classrooms, particularly from diverse cultural and ethnic backgrounds. As a Registered Nurse, she was a volunteer at Rosario Maternity and Medical Emergency Clinic, Philippines where she provided primary healthcare and patient education. Hannah has a deep sense of empathy and a thorough understanding of issues related to children’s medical care, health, hygiene and safe-practices. Hannah advises Mont Ivy Preschools on diversity and fostering a multi-cultural, multi-ethnic environment. She also advises Mont Ivy Preschools on international best-practices on safety and emergency medical care for children. Hannah is an AMI Primary Diploma holder and is a Bachelor of Science from the prestigious Filamer Christian College, Capiz, Philippines. Vikas is an honorary advisor to Mont Ivy Preschools. Driven by his love for teaching and education, Vikas has been mentoring students from all age-groups for the past 15 years. He has also served as a regular teaching volunteer for Cheshire Homes, India and taught at professional skills development institutes. Vikas has worked with Goldman Sachs for over seven years covering the Asian equities markets and believes in value investing. He is an International-CFA Charterholder and obtained his MBA from the prestigious Indian Institute of Management (IIM), Indore. Vikas is also a member of the Institute of Chartered Accountants of India (ICAI) and earned his Bachelor of Commerce degree from the Narsee Monjee College of Commerce and Economics (NM College), Mumbai. 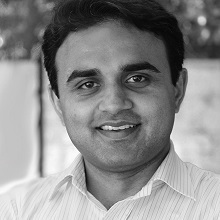 Shaurya is a strategic design advisor to Mont Ivy Preschools. An IIT Delhi alumnus, Shaurya has a rich experience of over 10 years in the field of Products Design. 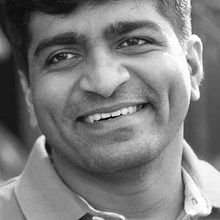 He has served as the head of design at Ixigo and also as an advisory consultant to companies such as Times Group, Bharti Softbank and several technology startups. 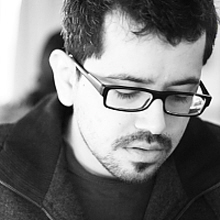 He has also worked with Pentair and Design Directions as an industrial designer. His designs won the CII Design Excellence Award and are being used by the government of India in social projects such as UIDAI and NREGA. Prior to obtaining his Master of Design from the Indian Institute of Science (IISc), Bangalore as the class topper, Shaurya earned his Bachelor of Technology in Mechanical Engineering from the Indian Institute of Technology (IIT), Delhi. All faculty at Mont Ivy Preschools are highly accomplished individuals who share a strong passion for teaching. Apart from completing graduation, a full-time Montessori certification from a reputed training institute is a must for every Montessori directress at Mont Ivy Preschools. The teachers recognize that in a rapidly globalising world, global skillsets and learning attitudes are required to succeed and lead a happy life. The teachers therefore work towards invigorating the natural curiousity in a child and encourage learning by doing. The teachers also focus on developing a scientific temperament of 'WHYs' and 'HOWs' in children - laying a foundation for self-learning in later lives. The teachers at Mont Ivy are caring and gentle with children, possess relevant experience and are also trained in providing first-aid care/Basic Life Support. The support staff at Mont Ivy are well-trained, professional and maintain good hygiene at all times. All staff members have been imparted a training in first-aid and made aware of the safety and security priorities of students. The staff is gentle, caring and a love for children binds them to Mont Ivy.